Welcome to be best MLB live lines and odds page in the industry. Betting on Baseball is very different from betting any other sport you may think of, just the fact that for the most part you will be wagering on a Money Line makes this a unique and fun sport to bet, and one that offers a lot of opportunities for bettors to make money, especially since it has the longest regular season of any major sport. At Ace Sportsbook we pride ourselves in offering the best betting options, and we have gone all out when it comes to MLB. We offer money lines, totals and run lines for every full game, we also offer first five innings lines, alternative lines, props and much more, so you will never run out of options while playing with us. Since we offer multiple betting lines for the same game, please make sure you read the title of the selected line to ensure you have selected the correct odds. By clicking here, you’ll find the latest baseball picks, news, and previews! Check Ace Sportsbook’s baseball gambling rules guide right here. 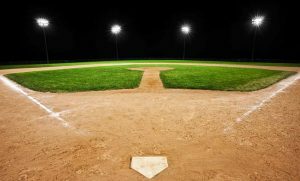 Like the majority of bookies, you are probably happy to settle for a break-even baseball season, it is time to break free of that mentality. If the Cubs were able to win the World Series, you can away with a profit from this one. AcePerHead.com is your best ally in your quest for a profitable baseball season, with the help of their MLB betting software and their expertise it is possible to create a winning strategy. One of the reasons why profiting from baseball is so hard, is because managing risk based only on money lines is less predictable than when you combine a point spread and money line. This does not mean it cannot be done, it just takes a little more elbow grease. This is the main difference between www.AcePerHead.com and the competition, they don’t think a break-even season is acceptable, if there is a way to make money, they will work with you to make it happen. The first thing that needs to be done is to understand your players betting habits. The dream, of course, would be to have a 100% public player sheet, but, this is unlikely to happen, and even square players have winning streaks in long sports seasons like MLB and NBA. However, the better the betting habits are understood the easier it is for the line managers at Ace Per Head to shade the lines and increase the profits. Most bookies will have a public ratio of 60% to 80%, and knowing that the public is more likely to buy into a team’s hype they will most likely bet on the favorite. If the line is shaded by 2%, it means the bookies’ profit margins will increase from 4.5% to about 6%. True this is not exactly a get rich fast strategy, but that 1.5% increase in profit margins on daily games, can add up quickly. With the automation features of Ace Per Head’s MLB betting software, it is possible to program the system to automatically shade lines by various percentages on specific player profiles and line types. This means, the more you know your customers’ behavior, the better your chances of increasing your profits are. Now, the line managers can do their part, but, you as the agent need to do your homework as well. As mentioned before, it is unlikely that a player sheet will be 100% square players, you will always have a few that have a higher winning percentage, and some that are flat out sharp players that can cause serious damage to your profit margin. Your task will be to identify these players, and set them under a different player profile, and manage your risk with wager limits as well. Having 10 players lose $100 each is great, but if you allow 2 players to win up to $500 in the same game, then all your hard work is a wash.
We are heading into the home stretch, the All-Star Game is edging closer and the second half of the season gets tougher for bookies, so, don’t delay, start studying your players betting habits and make the necessary adjustments now, so you can break the curse and walk away with a winning baseball season.